Common Cold is probably the most common infection that a baby can catch and you can expect this unwelcome guest many times in the first year! However much you protect your child, cold and cough are bound to occur every once in awhile. Babies are more prone to catching many kinds of infections and diseases. They can’t fight bacteria, viruses, and other infection-causing germs as easily as adults. A little one’s immune system is still in the developing stage and it is not as well equipped to fight infections easily. Why Do Babies Catch a Cold? Viruses in the air are the cause for colds in babies most of the times. A change of weather, extremely cold or extremely hot weather conditions can also trigger a cold. Once you sense that your child has a blocked nose, you get tensed but look at it this way – The cold is the body’s way of throwing mucus out of the body. Most of the times, a baby may also experience a cough along with a cold. When my daughter was 4 months old and she had nasal congestion, she would cry and at first, I didn’t know what to do. I couldn’t bear the sight of my little one in pain. I tried to soothe her by holding her but no amount of caressing would help. It was only after her nose was congestion free that she could go to sleep. This happened on more than one occasion and everyone in the house would be awake and worry till my baby was able to sleep peacefully. Yes, it was very troubling to see my little one in pain but I always wanted to avoid medicines. One does not have to rush to see a doctor for a cough and cold every time. Moreover, the doctor may prescribe very strong medicines which ultimately affect the liver of your baby and make his immune system even weaker. Hence, sometimes you might want to stick with home remedies with absolutely no side effects. Given below are some of the remedies that I have been using with my daughter. There are many things that I learned over the past 5 years and I’ve been able to cure her cold relatively quicker. It’s so astonishing that I never knew that there was a mini pharmacy in my own kitchen! Almost all Indian herbs and condiments are of some use to cure a common cold and cough. Babies below 6 months are highly sensitive and need more care and protection. It is best to avoid medicines during this time unless there is no other option. Saline water or salt based water is safe to use for babies and is recommended by pediatricians. They help to loosen the mucus and make the removal of crusty mucus easy. Use a saline solution to clear the nasal congestion and squeeze out mucus from the nose with a bulb suction pump. Note: Make sure you don’t insert the pump too deep inside as this can irritate the nostrils of the baby. 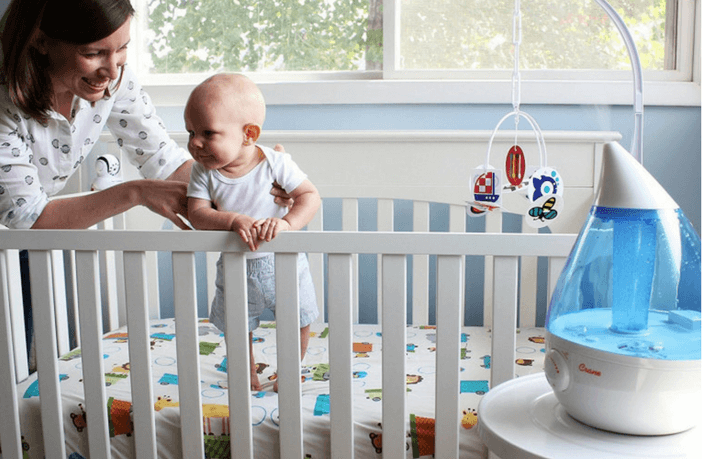 Place a humidifier in the room so that it is easier for the child to breathe. It helps to keep the room moist and prevent the formation of crusty mucus in your baby’s nose. You can also try giving light steam to your baby. Inhaling steam helps to clear nasal blockage and makes the baby sleep better but isn’t so easy to make a baby inhale steam. You can also use your bathroom as a steam room. Turn on the geyser and once the water is hot, turn on the tap and keep the door closed. Sit with your baby in the bathroom for at least 10-15 minutes. This age-old remedy is really useful and my grandmother used to put this for me and my brother. Just tie 7 garlic pods in a small piece of cloth and tie them around the baby’s neck at night. The strong smell of garlic helps to open the airways and relieves the congestion in the nose and the antibacterial properties of garlic destroy the bacteria. A blocked nose can disturb your baby’s sleep. While your baby is sleeping, keep his/her head elevated by propping an extra pillow under his head. This will help your baby to breathe easily. Massage your baby’s chest with lukewarm mustard oil mixed with garlic cloves. Babies love to be massaged and massaging with this oil provides warmth to your baby’s body. Garlic has antibacterial properties and it destroys the cold-causing bacteria. This remedy is very useful in curing cough in babies. Saffron is known for its medicinal properties and is very effective in treating cold, cough and fever. Applying saffron paste on the baby’s forehead can help to relieve a blocked nose. 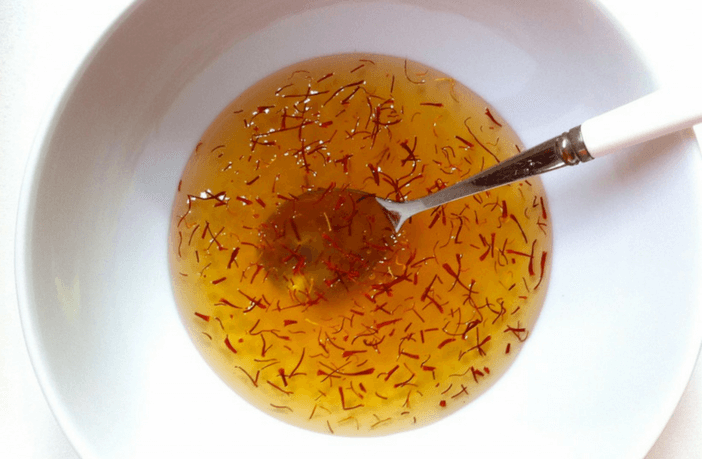 To prepare saffron paste, just take a pinch of saffron, grind it, add a few drops of water and apply this paste on your baby’s forehead, chest, throat and under the feet before going to bed. Carom seeds or ajwain can be heated and tied in a clean fresh cotton handkerchief like a potli. Now use this potli as a hot compress on your baby’s chest and back. This potli can also be kept in the sleeping bag or near the head of your baby so he gets the smell throughout the night. You can also add garlic peels to this as garlic has a strong aroma and will help to clear the nasal passages. Continue to offer breast milk as it helps to build immunity and fight infection. Breast milk is the best infection-fighting remedy during the first six months of babies. In fact, if you put 1-2 drops of breastmilk in each nostril, it can help to relieve a stuffy nose! Just rub a piece of nutmeg (jaiphal) on the grinding stone and mix this powder with 2 teaspoons of cow milk. Now apply this paste on the forehead of your child. The strong aroma of nutmeg helps to relieve stuffy nose of babies. This sacred plant contains antibacterial, antiviral and antibiotic properties and is highly effective in treating throat infections, cough, cold, and fever. Just mix 5-6 crushed tulsi leaves in 2-3 tsps on coconut oil and massage your baby’s chest, back and under the feet. How to Prevent Your Child from Catching a Cold? Maintain hygiene – Wash your hands while handling the baby. Wash all baby clothes with a mild baby detergent. Garlic for breastfeeding mothers – If you’re nursing, add garlic to your diet so that your milk helps to boost your child’s immunity and keeps infections at bay. Healthy Diet – Eat a healthy diet with all the essential nutrients so that his body becomes resistant to germs and infections through the breastmilk. 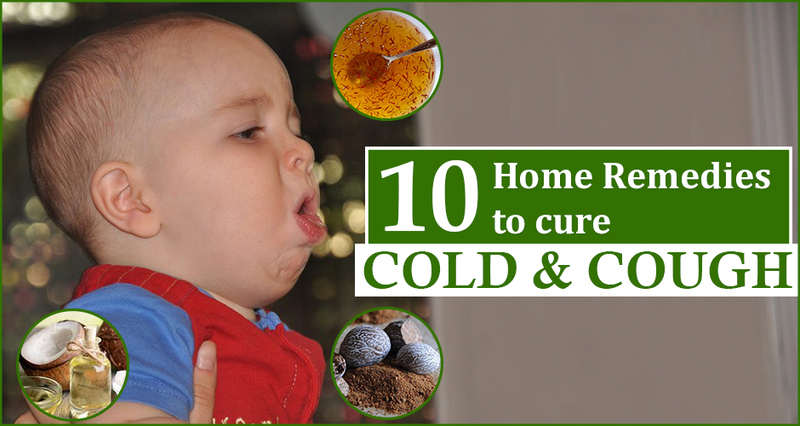 Hope the above information from my experience of using home remedies for cold and cough is useful to all the mommies!